Hey guys, welcome to My Kitchen Serenity! I’m so glad you’re visiting my blog! Be sure to subscribe to my blog to receive the newest recipe posts. 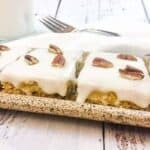 Now, let’s talk about these delicious, easy to make, Italian Cream Cake Bars! 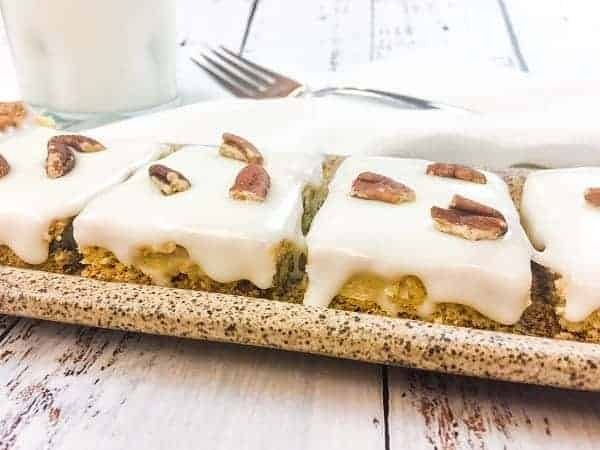 These Italian Cream Cake Bars have all the flavor of the familiar Italian cream cake recipe without all the steps. 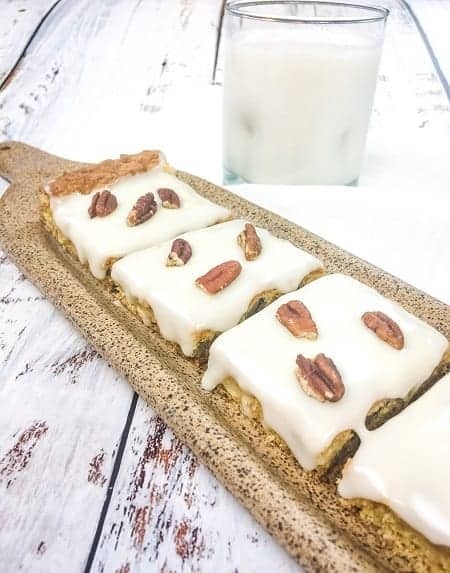 Just make, bake, frost, and cut into squares or bars! This dessert is simple to make yet special enough for holidays and parties. The batter consists of yellow cake mix, pecans, coconut, butter, and milk. These ingredients form a chewy, cookie-like crust. After cooling, spread the homemade cream cheese frosting on top. 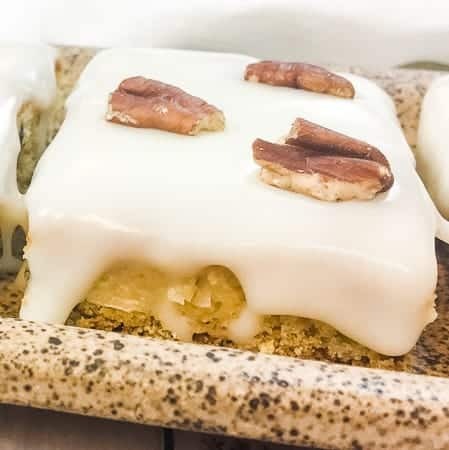 These Italian Cream Cake Bars remind me of the day we were married because we had an Italian Wedding Cake at our reception. *Whole milk works just as well as evaporated milk if you prefer to use it instead. Mix the cake mix, butter, and milk until well blended. Stir in the pecans and coconut. Spread into a greased and floured 9 x 13 pan. Bake at 350 for about 30 minutes or until lightly browned. 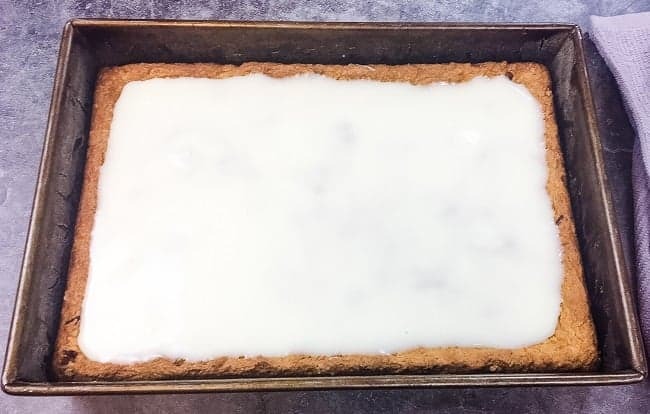 While the cake is baking, make the cream cheese frosting by mixing the powdered sugar and softened cream cheese with a little milk. Add just enough milk, about 2 tablespoons, to get the consistency of honey. A whisk works great for getting the right consistency. Cool the cake completely then spread cream cheese icing on top. Cut into bars or squares. Any leftovers should be refrigerated due to the cream cheese frosting. These bars can be frozen as well. 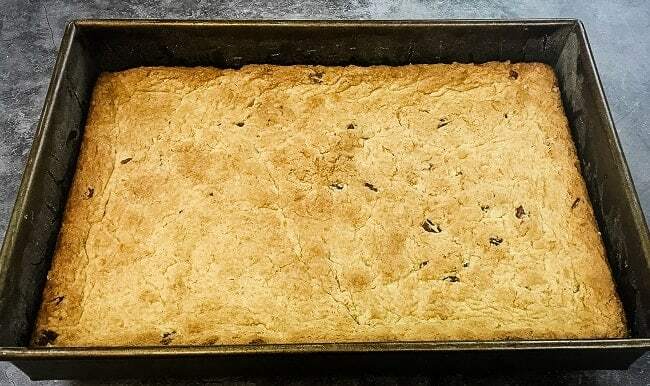 Delicious Italian Cream Cake baked in a sheet pan, then cut into bars or squares. Topped with a rich silky cream cheese frosting. 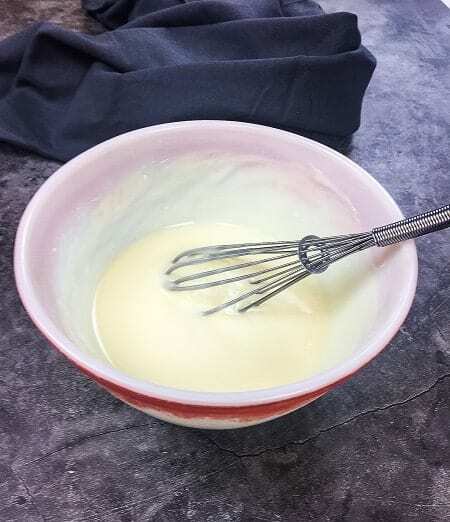 Mix the cake mix, butter, and milk until well blended. Stir in the pecans and coconut. Spread into a greased and floured 9 x 13 pan. Bake at 350F for about 30 minutes or until lightly browned. Cool the cake completely then spread cream cheese icing on top. If you make this dessert, please let me know! I’d love to hear from you!